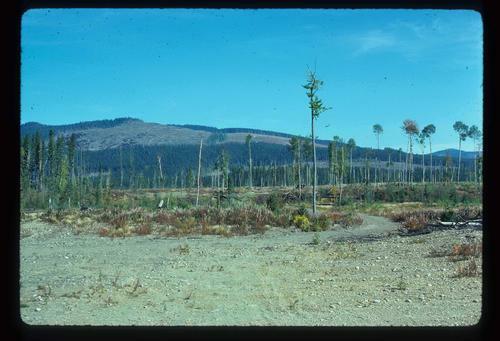 Image depicts a logging area, and a section of mountain in the background which is bare due to clear-cut logging. 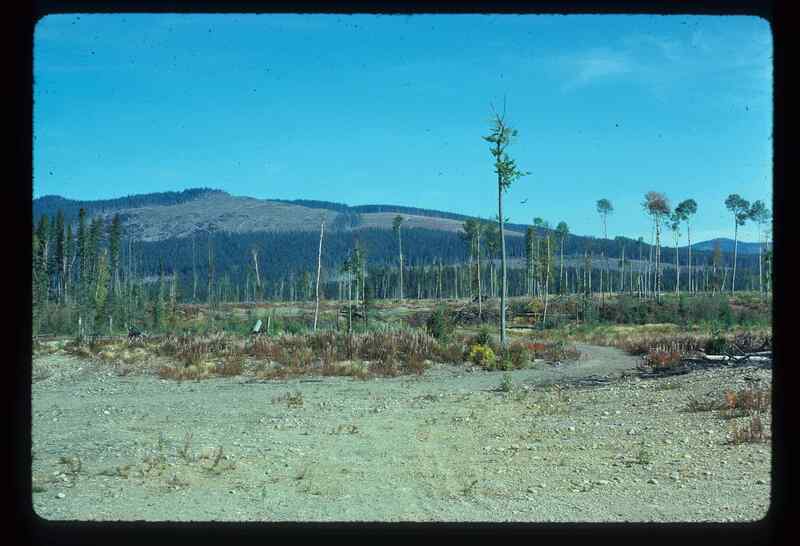 The slide is also labelled "logging show." It is possibly somewhere near Prince George, B.C.